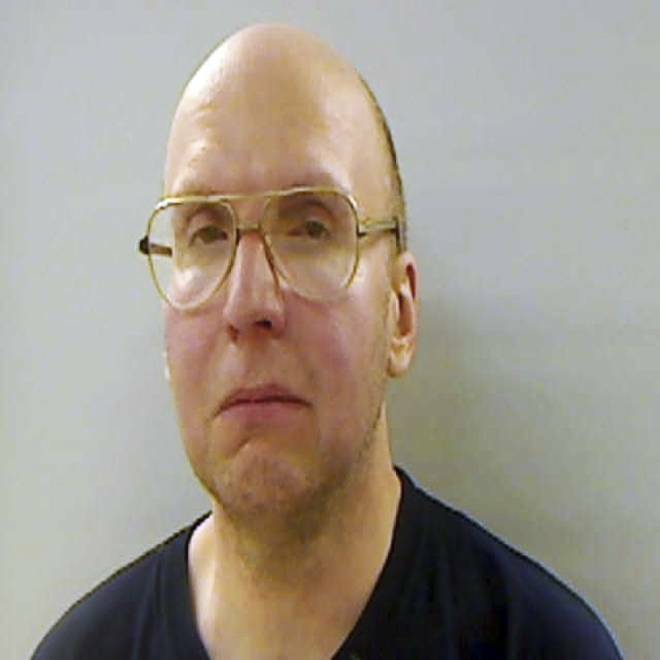 Christopher Knight, 47, dubbed the North Pond Hermit, lived in the woods of Maine for 27 years until his arrest on a burglary charge last week. A hermit who lived in the woods of Maine for 27 years was arrested breaking into a camp and admitted to more than 1,000 burglaries, police said Wednesday. Christopher Knight left home when he was 19 and his family never reported him missing. He's been holed up ever since at a makeshift camp near Rome — stealing essentials from nearby camps. "He never left the woods," Maine State Police spokesman Steve McCausland said. Knight, now 47, was carrying $300 in cash when he was arrested -- his "emergency fund" -- but never spent any money. 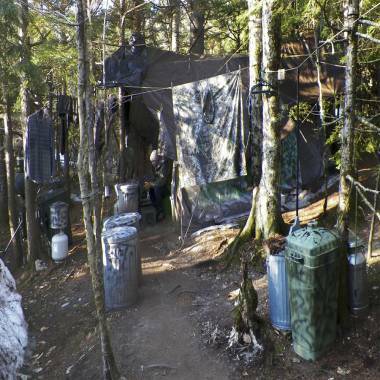 The camp in Rome, Maine, where authorities believe Christopher Knight lived like a hermit for decades. "Everything at his campsite was stolen except his eyeglasses. He had clothing, food, tools, propane tanks, a tent, sleeping bags -- everything you'd need to subsist on for almost three decades," McCausland said. The man dubbed the North Pond Hermit gave no explanation for why he dropped out of society, though he was a fan of the adventure book "Robinson Crusoe. Police said it was unclear why no one had come upon him in a quarter of a century. "This is not a remote, desolate site," McCausland said. "This is not in the deep Maine woods. He was within a mile of a traveled highway." And he wasn't completely out of touch. "He's obviously educated. He knew some current events," McCausland said, noting Knight had a portable radio. "During the winter months, he didn't want to leave his camp because it would make tracks on the snow, so he read. All his books were stolen." Police said he broke into nearby Pine Tree Camp at least 50 times. He was doing it again last Thursday morning when he set off an alarm system and was nabbed, police said. Erin Rice, the marketing director for the camp for disabled adults and children, said rumors of a thieving hermit had been around for years. "It was like a legend. You heard the stories but never imagined it was true," she said. "It's really troubling that things were stolen, but on the other hand, I feel really bad for this person who felt like they had to live in the woods for 27 years." Knight is charged with the one burglary at Pine Tree, but since he confessed to so many others at dozens of camps, police are consulting with prosecutors about more charges. "He is doing well in his new environment, which happens to be a jail cell," McCausland said.